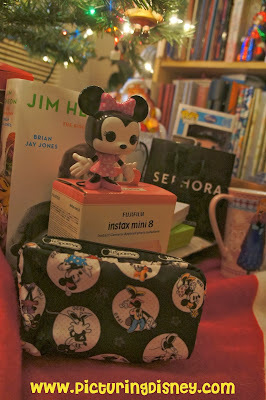 Picturing Disney: Happy New Year! LeSportSac Celebrate Minnie Giveaway! Happy New Year! LeSportSac Celebrate Minnie Giveaway! Disney and LeSportSac collaborations may be my favorite in recent years! I can't rave about the quality of LeSportSac enough (don't believe me check out the posts here, here, here, and even here!) and obviously teaming up with Disney is a match made in heaven for me! After the It's a Small World collaboration ended we get a little look at Minnie Mouse through the years with the "Celebrate Minnie" print! What better way to ring in a new year than with a great giveaway? Check out my review and then enter below! I was lucky enough to be sent a few items to review and even a great cosmetic bag to giveaway! I got to try out the Small Cleo Crossbody (9 x 9 x 4.5 in and $64) which is, in my opinion, one of the most perfect park bags ever for Disney parkgoers and for anywhere you are headed. Great size- not too big or too small and has both zip and open exterior pockets to tuck things away safely and for easy access! I also got to check out the Rectangular Cosmetic Bag (3.5 x 6.75 x 2 in and $25) which I have given away in the past but never used one. I adore this cosmetic bag because it keeps its nice squared shape because of the zipper which is great for keeping mascara, lip glosses, eyeliners and other pen shaped items (I was actually thinking about using this as a pencil case for all my teacher supplies)! The third bag I got to check out is the Deluxe Shoulder Satchel (7.5 x 11.75 x 5 in and $82). This bag is also fabulous with a shoulder strap that can adjust to be crossbody on my people as well as more space and pockets than the squared Cleo bag (the Satchel has more of a rectangle shape and more pockets plus mine came with a zip closure matching pouch)! A chance to win your own from Picturing Disney! 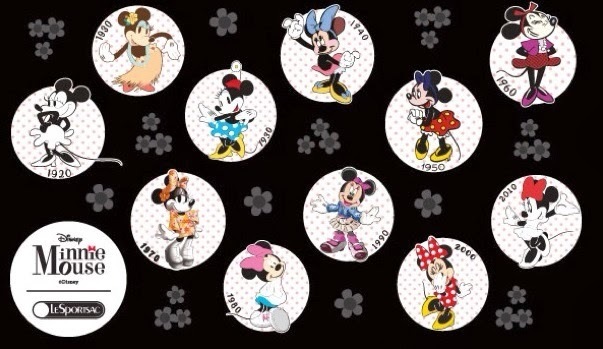 The amazing Celebrate Minnie print is available to purchase now and comes in EIGHTEEN different styles! While you try to decide which style is right for you complete the rafflecopter below for your chance to win the Deluxe Shoulder Satchel from this review!